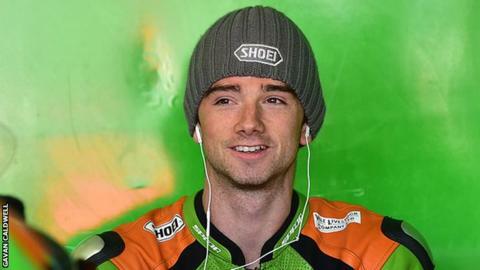 Glenn Irwin edged out Luke Mossey in a thrilling British Supersport sprint race at Donnington Park on Saturday. The Carrickfergus rider moved ahead of Mossey with a dramatic move on the penultimate lap to win by 0.19 seconds. Graeme Gowland completed the podium places while fellow Carrickfergus man Alastair Seeley came in eighth. Seeley is third in the series while Irwin, who won at Cadwell Park a fortnight ago, is fourth going into Sunday's feature race. Championship leader Billy McConnell was fourth in Saturday's race and he moves on to 285 points, five clear of Gowland. Seeley is back on 242 with Irwin closing the gap on his fellow Northern Ireland competitor to 21 points.